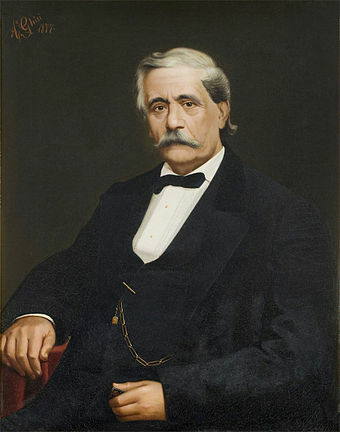 Giuseppe Fortunino Francesco Verdi (Italian: [dʒuˈzɛppe ˈverdi] ; 9 or 10 October 1813 – 27 January 1901) was an Italian opera composer. He was born near Busseto to a provincial family of moderate means, and developed a musical education with the help of a local patron. 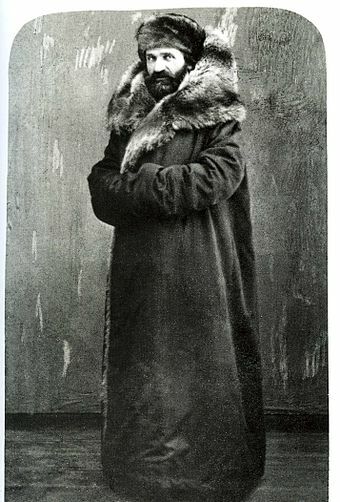 Verdi came to dominate the Italian opera scene after the era of Vincenzo Bellini, Gaetano Donizetti, and Gioachino Rossini, whose works significantly influenced him. 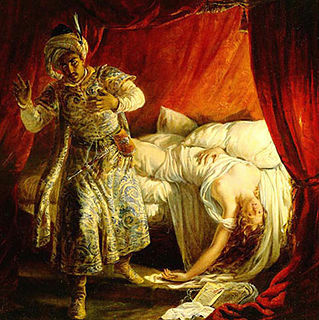 By his 30s, he had become one of the pre-eminent opera composers in history. 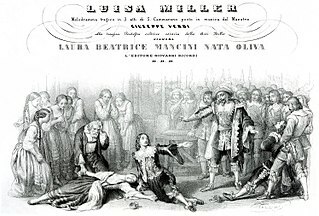 His operas remain extremely popular, especially the three peaks of his 'middle period': Rigoletto, Il trovatore and La traviata , and the 2013 bicentenary of his birth was widely celebrated in broadcasts and performances. 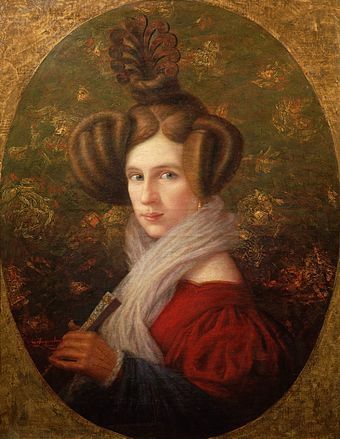 While Verdi was working on his second opera Un giorno di regno , Margherita died of encephalitis at the age of 26. Verdi adored his wife and children and was devastated by their deaths. Un giorno, a comedy, was premiered only a few months later. It was a flop and only given the one performance. 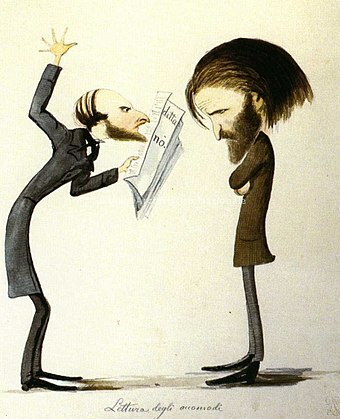 Following its failure, it is claimed Verdi vowed never to compose again,  but in his Sketch he recounts how Merelli persuaded him to write a new opera. 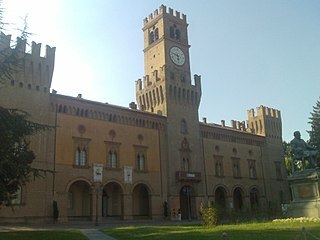 Three Italian conservatories, the Milan Conservatory  and those in Turin  and Como,  are named after Verdi, as are many Italian theatres. 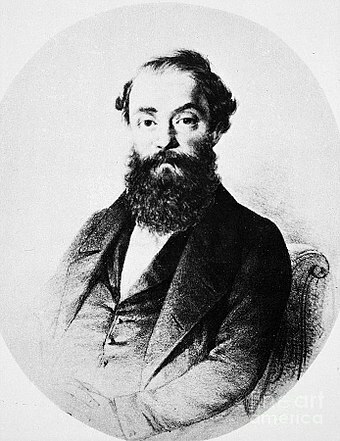 Ferdinando Angelo Maria Provesi was a native of Parma, Italy. 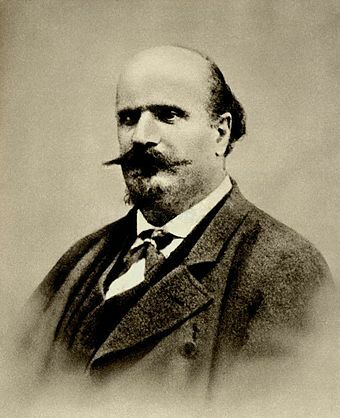 He was regarded as one of the greatest Italian opera composers of the era. 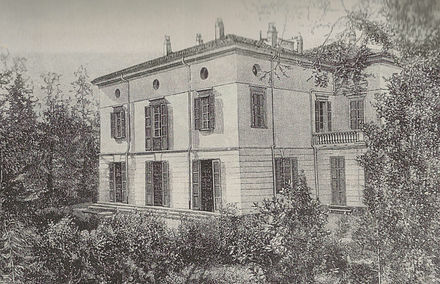 Provesi is best known as being an early tutor of Giuseppe Verdi when he was the Maestro di cappella at the St. Bartolomeo cathedral in Busseto Provesi was also director of the municipal music school and local Philharmonic Society. 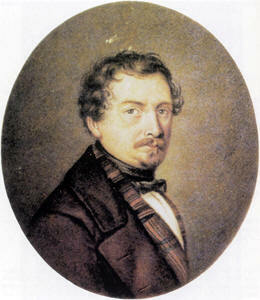 He began teaching Verdi in 1824 when the future composer was 11 years old. 1 2 3 4 5 6 Parker n.d., §2. 1 2 Rosselli 2000, p. 12. ↑ Rosselli 2000, p. 14. ↑ Phillips-Matz 1993, pp. 17–21. 1 2 Parker 1998, p. 933. ↑ Phillips-Matz 1993, pp. 20–21. ↑ Parker 2007, pp. 2–3. 1 2 3 4 Parker n.d., §3. ↑ Phillips-Matz 1993, p. 35. ↑ Parker 2007, p. 1. ↑ Werfel & Stefan 1973, pp. 80–93. ↑ Phillips-Matz 1993, p. 67. ↑ Phillips-Matz 1993, pp. 79–80. 1 2 Budden 1993, p. 71. ↑ Budden 1993, p. 16. ↑ Werfel & Stefan 1973, pp. 87–92. ↑ Porter 1980, pp. 638–39. ↑ Phillips-Matz 1993, p. 181. ↑ Phillips-Matz 1993, p. 379. ↑ Phillips-Matz 1993, p. 139. ↑ Budden 1984a, p. 116. 1 2 Porter 1980, p. 649. ↑ Phillips-Matz 1993, pp. 160–61. ↑ Budden 1993, p. 45. ↑ "Story" on Villa Verdi website, accessed 10 June 2015. ↑ Phillips-Matz 1993, p. 148. ↑ Phillips-Matz 1993, pp. 150–51. ↑ Kerman 2006, p. 23. ↑ Rosselli 2000, p. 52. ↑ Phillips-Matz 1993, p. 160. ↑ Phillips-Matz 1993, p. 166. ↑ Phillips-Matz 1993, pp. 192–93. ↑ Werfel & Stefan 1973, p. 122. 1 2 Chusid 1997, p. 1. 1 2 Operabase website, accessed 28 June 2015. ↑ Phillips-Matz 1993, p. 196. ↑ Baldini 1980, p. 132. ↑ Budden 1984a, pp. 318–19. ↑ Phillips-Matz 1993, pp. 229–41. ↑ Rosselli 2000, p. 63. ↑ Rosselli 2000, p. 72. ↑ Rosselli 2000, p. 180. ↑ Reibel 2001, p. 97. ↑ Budden 1984a, p. 365. ↑ Phillips-Matz 1993, p. 229. ↑ Martin 1984, p. 220. ↑ Osborne 1969, p. 189. ↑ Budden 1984a, p. 390. ↑ Rosselli 2000, pp. 79–80. ↑ Walker 1962, p. 194. ↑ Rosselli 2000, p. 89. ↑ Newark 2004, p. 198. ↑ Rosselli 2000, p. 90–91. ↑ Rosselli 2000, pp. 92–93. ↑ Rosselli 2000, p. 101. ↑ Taruskin 2010, p. 585. ↑ Taruskin 2010, p. 586. ↑ Walker 1962, pp. 197–98. ↑ Phillips-Matz 1993, p. 287. ↑ Phillips-Matz 1993, p. 290. ↑ Phillips-Matz 1993, pp. 289–. ↑ Kerman 2006, pp. 22–23. ↑ Walker 1962, p. 199. ↑ Budden 1984b, p. 63. ↑ Budden 1993, p. 54. 1 2 3 Chusid 1997, p. 3. ↑ Budden 1993, pp. 70–71. ↑ Budden 1993, p. 138. ↑ Mendelsohn 1979, p. 223. ↑ Mendelsohn 1979, p. 226. ↑ Phillips-Matz 1993, p. 303. ↑ Walker 1962, p. 212. ↑ Budden 1993, pp. 62–63. ↑ Parker 1982, p. 155. ↑ Walker 1962, p. 218. 1 2 Walker 1962, p. 219. ↑ Phillips-Matz 1993, p. 355. ↑ Werfel & Stefan 1973, p. 207. ↑ Rosselli 2000, pp. 116–17. ↑ Phillips-Matz 1993, p. 394. ↑ Rosselli 2000, p. 70. ↑ Phillips-Matz 1993, p. 405. ↑ Phillips-Matz 1993, pp. 412–15. ↑ Gossett 2012, pp. 272, 274. ↑ Gossett 2012, pp. 272, 275–76. ↑ Author's summary of Gossett (2005), accessed 18 July 2015. ↑ Osborne 1969, p. 198. ↑ Budden 1984c, p. 80. ↑ Gossett 2012, p. 272. ↑ Phillips-Matz 1993, p. 417. ↑ Gossett 2012, p. 281. ↑ Phillips-Matz 1993, pp. 429–30. ↑ Gossett 2012, p. 282. 1 2 Porter 1980, p. 653. ↑ Phillips-Matz 1993, pp. 439–46. ↑ Rosselli 2000, p. 124. ↑ Phillips-Matz 1993, pp. 446–49. ↑ Parker 2007, pp. 3–4. ↑ Budden 1993, p. 88. 1 2 Budden 1993, p. 93. ↑ Rosselli 2000, pp. 128–31. ↑ Rosselli 2000, pp. 131, 133. ↑ Rosselli 2000, p. 158–159. ↑ Stowell 2003, p. 259. 1 2 Rosselli 2000, pp. 138–39. ↑ Christiansen 1995, pp. 202–03. ↑ Rosselli 2000, pp. 163–65. ↑ Rosselli 2000, pp. 164–72. ↑ Klein 1926, p. 606. ↑ Phillips-Matz 1993, pp. 700–01. ↑ Mendelsohn 1978, p. 122. ↑ Hepokoski 1983, pp. 55–56. ↑ Budden 1993, p. 137. ↑ Budden 1993, p. 140. ↑ Budden 1993, pp. 143–44. ↑ Budden 1993, p. 146. ↑ Rosselli 2000, p. 186. ↑ Porter 1980, p. 659. 1 2 Phillips-Matz 2004, p. 14. ↑ Walker 1962, p. 509. ↑ Rosselli 2000, p. 7. ↑ Budden 1993, pp. 148–49. ↑ Budden 1993, p. 153. ↑ Mendelsohn 1978, p. 110. ↑ Budden 1993, pp. 2–3, 9–10. ↑ Rosselli 2000, p. 161. ↑ Rosselli 2000, pp. 162–63. ↑ Berlin 1979, pp. 3–4. ↑ Conati 1986, p. 147. ↑ Rosselli 2000, p. 1. ↑ Porter 1980, p. 639. ↑ Porter 1980, p. 636. ↑ Porter 1980, p. 637. ↑ Budden 1993, p. 5. ↑ Gossett 2008, p. 161. ↑ Taruskin 2010, pp. 15–16. ↑ Balthazar 2004, pp. 49–59. ↑ Parker n.d., §4 (ii). 1 2 Parker n.d., §4 (vii). ↑ Taruskin 2010, pp. 570–75. ↑ Budden 1993, p. 21. 1 2 Parker n.d., §4 (iv). ↑ Budden 1993, pp. 190–92. ↑ Rosselli 2000, p. 95. ↑ Budden 1984a, p. 510. ↑ Budden 1984b, p. 61. ↑ Chusid 1997, pp. 9–11. ↑ Parker n.d., §4 (vi). ↑ Taruskin 2010, p. 587. ↑ Chusid 1997, p. 2. ↑ Parker n.d., §6 (i). ↑ Porter 1980, pp. 653–55. ↑ Budden 1993, p. 272. ↑ Budden 1993, pp. 310–11. ↑ Rosselli 2000, pp. 161–62. ↑ Budden 1993, p. 320. ↑ Taruskin 2010, pp. 602–03. ↑ Budden 1993, p. 281. ↑ Budden 1993, pp. 282–84. ↑ Parker 1998, p. 229. ↑ Rosselli 2000, p. 182. ↑ Chorley 1972, pp. 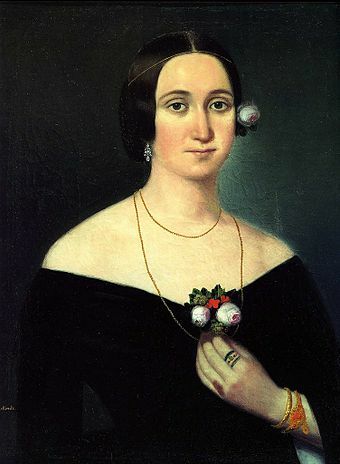 182, 185–6. ↑ Mazzucato 1910, p. 247. ↑ Parker n.d., §10 (ii). ↑ Harwood 2004, p. 272. ↑ "Who we are" website of the Istituto di studi verdiani, accessed 27 June 2015. ↑ "American Institute for Verdi Studies" at NYU website, accessed 27 June 2015. ↑ Harwood 2004, p. 273. ↑ Mary Ann Smart, "Verdi, Italian Romanticism, and the Risorgimento," in Scott L. Balthazar (2004). The Cambridge Companion to Verdi. Cambridge UP. pp. 29–45. ↑ Roger Parker, "Verdi politico: a wounded cliché regroups." Journal of Modern Italian Studies 17#4 (2012): 427–36. ↑ Sadie & Sadie 2005, p. 385. ↑ After Aida Archived 30 June 2015 at the Wayback Machine production details at Robert Fox Ltd. website, accessed 27 June 2015. ↑ See. e.g. John O'Connor, "Jonathan Miller's Mafia 'Rigoletto'", The New York Times , 23 February 1989, accessed 28 June 2015. ↑ Matt Slater, "Revamped opera fails to shock", BBC News website, 22 February 2002, accessed 28 June 2015. ↑ James Bone, "Against Silvio Berlusconi's idea of culture", The Australian , 24 March 2011, accessed 28 June 2015. Berlin, Isaiah (6 October 1979). 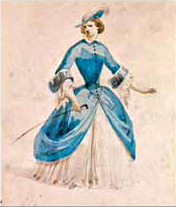 "The 'Naiveté' of Verdi". New Republic . Retrieved 14 June 2015. Gossett, Philip (2012). "Giuseppe Verdi and the Italian Risorgimento (Jayne Lecture, 2010)" (PDF). Proceedings of the American Philosophical Society . 156 (3): 271–82. Archived from the original (PDF) on 30 April 2015. Retrieved 11 June 2015. Klein, John W. (July 1926). "Verdi and Falstaff". Musical Times . 67 (1001): 605–07. JSTOR 911833. (Subscription required (help)). Parker, Roger (2007). "Verdi and Milan". Lectures and Events. Gresham College . Retrieved 9 June 2015. Walker, Frank (1962). The Man Verdi. New York: Knopf. ISBN 0-226-87132-0 . Retrieved 11 June 2015. Wikimedia Commons has media related to Giuseppe Verdi .